Terry was the dive master on a recent dive in the Phillippines. These amazing creatures greeted Terry and his friends. The short video, Octopus’ Garden depicts their adventures under the sea. Tunnels Reef on the north shore of Kauai is a magical place to scuba dive and surf. It is actually a sunken volcano. You surf along the outer edge of this volcano where it is only a few feet deep but drops down to the bottom at 50 feet deep. 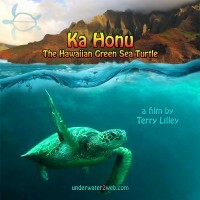 The World’s Guide for Hawaiian Reef Fish video trailer, Terry’s newest full length video is the most comprehensive video guide for Hawaiian Reef Fish out there, coming soon! These pics are stills out of my HD video of our night snorkel at Anini Beach and scuba dive at Lumahai Kauai in June of 2011.